ISLAMABAD: Prime Minister Nawaz Sharif has approved in principle a plan for revival of Pakistan International Airlines (PIA), aimed at bringing the national flag-carrier, currently running in losses of billions of rupees, to a break-even level within a year, by increasing revenue and taking cost-cutting measures. Under the plan, 20 new generation, narrow-bodied and fuel-efficient planes will be inducted into the fleet with Airbus 320 and Boeing 737 as the preferred options, besides getting four Boeing 777 and then same number of ATR 72-500 aircraft on ‘dry lease’. The decision comes at a time when all eyes are on the proposed privatisation of PIA. The government has given a written assurance to the International Monetary Fund (IMF) that 26 per cent shares of PIA will be sold by the end of this year. An official, when asked if the decision to invest heavily in PIA meant a shift in the plan to privatise the state owned airline, said the restructuring and privatisation could go together. Chairing a meeting held on Sunday to review the reform and restructuring plan, including strategic partnerships, Finance Minister Ishaq Dar said that over the years, mismanagement and structural inefficiencies in the state-owned enterprises (SOEs) had marred public sector governance. “Continuous injection of resources into the SOEs is fiscally not sustainable on an indefinite basis and the most viable option available is to structure them through strategic partnership with the private sector after 26pc off-loading of shares,” he said. The Prime Minister’s Special Assistant on Aviation Shujaat Azim told reporters after the meeting that three planes had been obtained on lease, while tenders for getting 10 narrow-bodied aircraft had been floated and the bids were to be opened on March 7. He said that subsequently another seven planes would be inducted. He said induction of new planes into the fleet was expected to generate annual revenue of Rs72 billion at 85pc seat factor and 12.5-hour utilisation per day. He said there were 34 aircraft in PIA’s fleet, of which 24 were operational. The fleet includes seven 26-year-old Boeing 747 and 737 and 12 20-year-old Airbus A310 planes. The average fleet age comes to around 17 years. Mr Azim pointed out that the average fleet life of international airlines was less than 10 years. Selling the four Boeing 747 and 12 Airbus aircraft after induction of the new fleet is also part of the plan. He said the present fleet was geared for medium- and long-haul routes while 62pc passengers travelled on short routes. Induction of suitable aircraft can considerably cut the fuel cost. He said wrong use of 777 aircraft on short sectors due to non-availability of short-haul planes also incurred a high cost on engine overhaul which was based on flight cycles. An engine overhaul costs $8 million. The special assistant said the turnaround strategy also involved restructuring of the airline and creation of strategic business units. 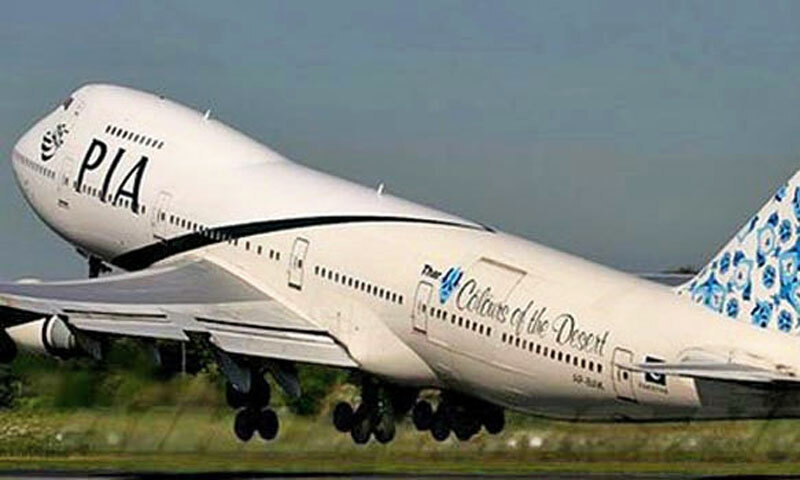 Of the PIA passengers, 16pc travel on long routes, including the United Kingdom, United States, Canada and Europe. The medium routes used by 22 pc passengers include Saudi Arabia and the Far East. The bulk of the traffic goes to and from the Gulf, regional countries and on domestic routes. Mr Azim said the fuel cost for old A310 came to $5,500 per hour, while the new 737 900ER would consume fuel worth $2,500 to $2,600.After the fresh induction into its fleet, the PIA plans to use 777 aircraft for long haul routes, A320-232 on medium haul routes and A320, 737NG and ATR for domestic, gulf and regional routes. Giving details of other steps being taken to reduce losses, he said aircraft parts’ procurement would be made only from original equipment manufacturers, all off-line stations were being closed, performance of all general sales agents was being reviewed and the practice of free seat upgrades and excess baggage had been stopped. With 19,418 employees, PIA has one of the highest employee-aircraft ratio in the world of 776. The average ratio worldwide is around 150. When asked about reports that over 35 PIA employees were drawing salary of over Rs1 million per month, Mr Azim said the government had decided to go for a performance audit of the airline through international firms and shun favouritism and nepotism. He said the prime minister had approved a plan to expand Lahore’s Allama Iqbal International Airport. It has been decided to increase the number of counters at the departure lounges of the Lahore and Islamabad airports and introduce a passenger-friendly immigration system. He said the prime minister had ordered that a passage to the new airport should be provided directly from the motorway and not through private housing societies. Since the new airport will be completed by the end of 2016, the Benazir International Airport will be upgraded. A taxiway will be ready in a couple of months by linking the additional runway with the main one. The kiosks inside the main lounges will be moved out of the building. At the Karachi airport, the Civil Aviation Authority has served notices to all airlines to remove their junk by the end of this month and clear the space. He said the prime minister would announce a national aviation policy in April and a conference of international experts would be held in Islamabad this month. He indicated that there would be a change in the rules for getting a licence for airline operations.